Why is the Crystal River significant and what would happen if it dried up? LOCC students look into the importance of this river to the people of Carbondale. This film was made by students in Carbondale, Colorado during summer 2018. Westwide SNOTEL basin-filled map March 28, 2019 via the NRCS. The Snowmass Water and Sanitation District is seeking a new water right to divert as much as 500 acre-feet of water a year from the Roaring Fork River as backup in case something happens to its primary water sources on East Snowmass Creek and Snowmass Creek. Under the proposed right, the district could divert, at a point just downstream from Jaffee Park, as much as 9 cubic feet per second of water from the Roaring Fork and pump it up to Snowmass Village via a roughly 6-mile pipeline running along the Brush Creek valley. “This is an insurance policy for the district,” district manager Kit Hamby said. The district, whose service area includes the town of Snowmass Village, filed an application for the water right in Division 5 water court in Glenwood Springs on Dec. 31, 2017. Hamby said the district is in productive negotiations with the state, the only party that filed a statement of opposition in the case. The proposed diversion point will allow the district to capture and reuse water that has flowed down Brush Creek from the district’s wastewater-treatment plant on the Snowmass golf course. The diversion would deliver water from the river to a pumphouse located “river right” a few hundred yards below the put-in for the popular Toothache run on the Roaring Fork and about a mile above Woody Creek’s post office. The project’s initial pump station would be built on what is now private land, and the pipeline would come up along the river, cross it and then head up the Brush Creek valley, where other pump stations would be used to move the water. The Roaring Fork water would be sent either to the district’s wastewater-treatment plant, which sits under the Village Express chairlift at the Snowmass Ski Area, or to Ziegler Reservoir, which holds 252 acre-feet of water. From Ziegler, which sits on the divide between the Snowmass Creek and the Brush Creek basins, the district can gravity-feed the water to the rest of its system. Hamby said there is no current cost estimate on the project. The Colorado Water Conservation Board, which filed a statement of opposition in the district’s water-court case, holds a series of “instream flow” rights in the Roaring Fork meant to leave water in the river to benefit the environment. The state agency’s rights include a 1985 right in the section between Maroon Creek and the Fryingpan River of 30 cfs from Oct. 1 to March 31 and 55 cfs from April 1 to Sept. 30, and Hamby said the district intends to honor those instream flow rights, and won’t divert if the river is too low. The district also plans to use the 500 acre-feet of water it owns in Ruedi Reservoir, on the Fryingpan River above Basalt, as a backup supply water so that the new water right does not get “called,” or turned off, by senior downstream water rights on the Colorado River above Grand Junction. 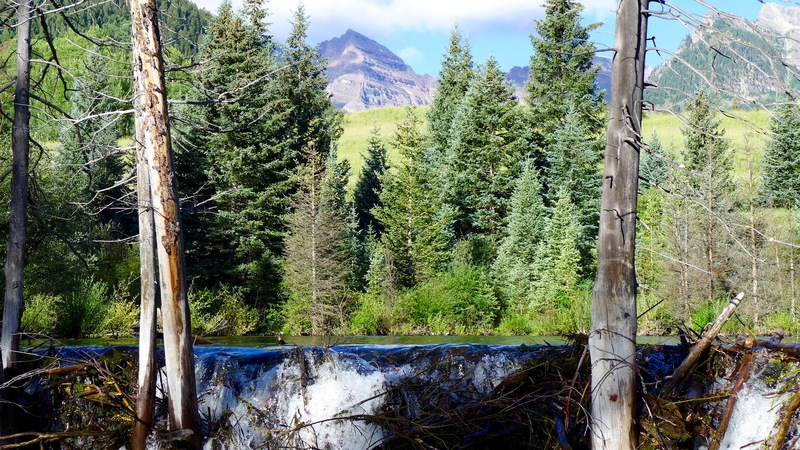 If the senior water rights call out upstream junior water rights, instead of turning of the diversion into its new pipeline, the district would release the water it owns in Ruedi to flow down the Fryingpan through Basalt and onto the Colorado River. The district has existing water rights to divert out of East Snowmass Creek as many as 5 cfs, which the district can gravity-feed down a pipeline to Ziegler Reservoir. Hamby said about 96 percent of the water used daily in the resort town comes from the East Snowmass Creek diversion point, at a steady flow of about 2 cfs. The district also has a right to divert as much as 6 cfs out of Snowmass Creek, just downstream from the Campground lift. It can then pump that water uphill to Ziegler. Hamby said about 2 percent of the water used by the district now comes from Snowmass Creek, and most of that is used for snowmaking. Until 2013, the district provided water for snowmaking directly from Snowmass Creek, but a complex instream-flow right held by the CWCB limited the amount of water available. 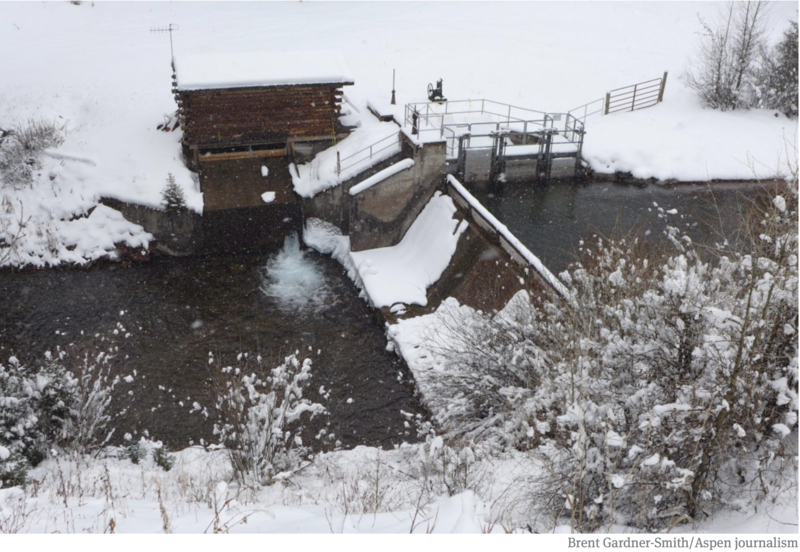 Now, the district provides water for snowmaking directly out of Ziegler Reservoir, buffering the creek and allowing the ski area’s snowmaking system to turn on and go all out. 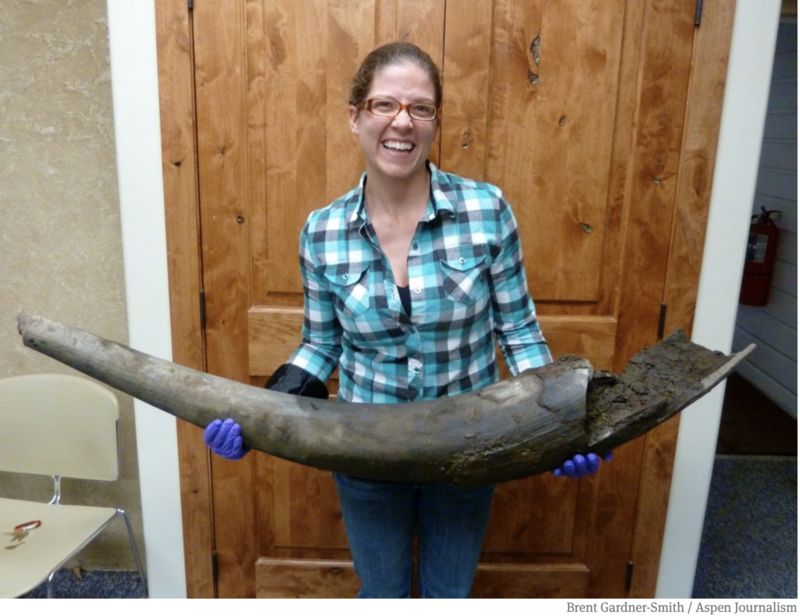 Expansion of Ziegler Reservoir started in 2011, and was delayed when the bones,tusks and horns of prehistoric animals started emerging from the bottom of the reservoir during excavation. The reservoir started holding water in 2013. According to Hamby, Aspen Skiing Co. put $3.75 million into the project, which cost $10.7 million. The district also has a right to divert .77 cfs of water out of West Fork Brush Creek, a tributary of Brush Creek that forms Garrett Gulch at the ski area. Hamby says the project is not meant to simply allow the district to use more water or to allow the town of Snowmass to grow more than it has to date. He said he’s proud the district has driven down the amount of water used by it and town residents, adding that Roaring Fork water is truly seen as backup. In 2002, the district was annually providing 660 million gallons, or 2,025 acre-feet, of water. Today, the district is annually providing 425 million gallons, or 1,304 acre-feet. Hamby credits the reductions to the district’s aggressive leak-detection and repair program and high-tech smart meters, which let homeowners closely track their indoor- and outdoor-water use. A status conference in the ongoing water-court case is set for Jan. 3. Editor’s note: Aspen Journalism collaborated on this story with the Snowmass Sun, which published the story on Wednesday, Dec. 2, 2019. 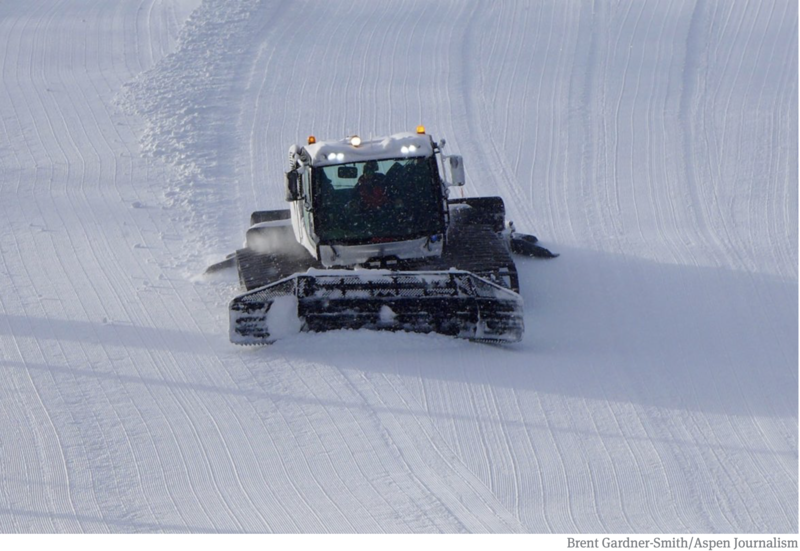 A snowcat smooths out a mixture of machine-made and natural snow at the base of Little Nell in December. Securing a good base on Little Nell is critical to Aspen Mountain operations, and machine-made snow is often critical to get the job done. Snowmaking guns sit on Aspen Mountain in late December, after much of their work was done for the season. 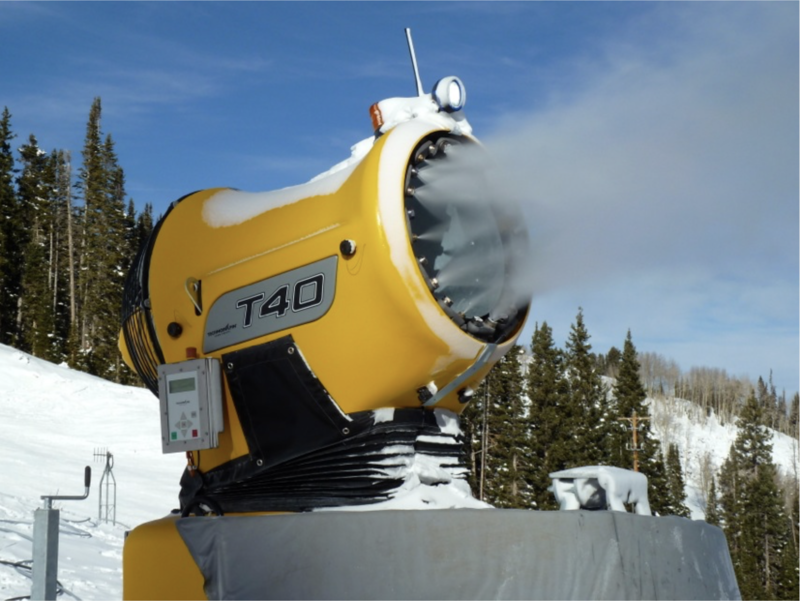 The water that is forced through the guns to make snow on Aspen Mountain comes from Castle and Maroon creeks, often at their lowest levels in late fall and early winter, which is prime snowmaking season. Editor’s note: Aspen Journalism is covering rivers and water with The Aspen Times. The Times published this story on Wednesday, Jan. 2, 2018. Sustainable agricultural production requires responsible stewardship and financial stability. Since 1976, Colorado has provided a mechanism for landowners to perpetually protect their lands and associated water rights, while enjoying financial benefits through the grant of a conservation easement. The landowner retains ownership of the property after a conservation easement is conveyed. Conservation easements can be created only by a voluntary agreement between the landowner and a government entity or a charitable land trust created for that purpose. The landowner selects the governmental entity, such as Colorado Parks and Wildlife, or a land trust that best suits their goals, objectives and interests to hold the conservation easement. The Aspen Valley Land Trust and the Colorado Cattlemen’s Agricultural Land Trust hold many conservation easements in our area. Aspen Valley Land Trust was organized in 1967 and is the oldest land trust in Colorado. 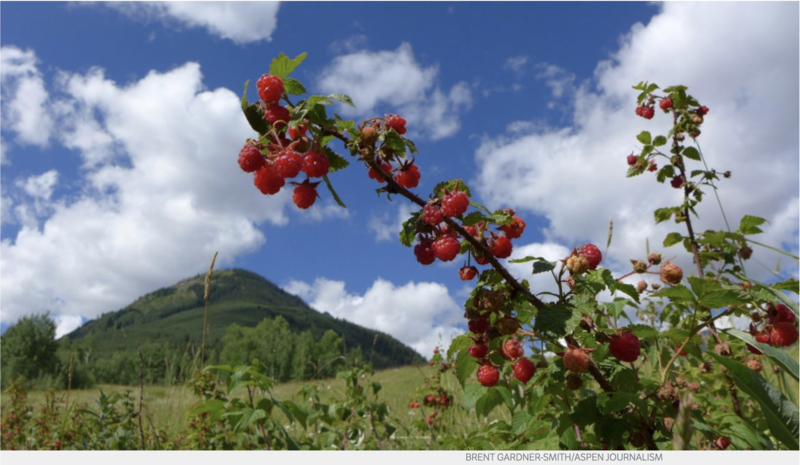 To date, AVLT has conserved over 41,000 acres that protect local agriculture, rivers, wildlife habitat, recreational access, and outdoor educational opportunities in the Roaring Fork and Colorado River valleys. Roughly half of AVLT conserved lands lie within the greater Roaring Fork Valley, and half between Glenwood Springs and the Flat Tops north of De Beque. The Colorado Cattlemen’s Agricultural Land Trust was formed in 1995 to help Colorado’s ranchers and farmers protect their agricultural lands and encourage the intergenerational transfer of ranches and farms. CCALT focuses on agricultural easements and encourages traditional activities such as farming, grazing, hunting, fishing and recreation on the land. The first step in conserving a property is identification of the property values that the landowner wants to preserve and the rights they are willing to relinquish in order to conserve the property. Landowners have flexibility in selecting which property rights they are willing to give up in exchange for a conservation easement. In instances where farming and ranching are identified as the conservation values of a property, easements can be used as a tool to compensate landowners for tying their water resources to the land, defining stewardship obligations and permanently restricting development. This preserves the land for agricultural production while maintaining the scenic landscapes and wildlife habitat that draw recreation and tourism dollars to our communities. When an easement is granted, the current use and management of the land is usually maintained resulting in very little impact on daily activities. Public access is not a requirement for conveying a conservation easement, although the property owner is required to grant the land trust access for monitoring visits. Conservation easements are typically monitored on an annual basis and visits are coordinated with the landowner. The annual visit to the property is to ensure that the terms of the easement are being met, to continue to build relationships with the landowners, and to resolve stewardship issues that may arise. Conservation easements can generate financial benefits for the landowners. Conservation easements are valued through an appraisal process which considers the value of the property without the conservation easement vs. the value of the property in its restricted state subject to the conservation easement. The difference between the two appraisal values is the conservation easement value which is used to calculate how much the landowner will be compensated for conserving their land. A typical conservation easement takes approximately one year to complete. There are associated fees which vary greatly depending upon the circumstances. The fees cover a baseline inventory report, appraisals, title work, environmental assessments, mineral reports and the drafting of the legal documents necessary to create the conservation easement. Landowners interested in more information on conservation easements can contact AVLT at http://www.avlt.org or 970-963-8440. The local Conservation Districts will be holding an Ag Expo on Feb. 2, 2019 from 9 a.m. to 3 p.m. at the Garfield County Fair Grounds in Rifle where additional information regarding conservation easements can be obtained. Registration is required to attend the Expo. More details can be found at: http://www.bookcliffcd.org/. Water Law Basics appears monthly in the Post Independent in cooperation with the area conservation districts. Matt Annabel is communications and outreach director for the Aspen Valley Land Trust, and Sara M. Dunn is district supervisor for the Bookcliff Conservation District. A water court judge last week said the city of Aspen needed to supply more information to the court before he could find the city has met the legal standards for “diligence” and “need” concerning its conditional water-storage rights tied to potential reservoirs on upper Castle and Maroon creeks. The judge’s request for more substance in the court record could be a setback for the city in its two ongoing diligence cases, which began in 2016, and are now being heard together as one case. If that were to occur, the city would next file a change application in water court to move the rights from Castle and Maroon creeks to five other potential locations. All opposing parties in the cases have agreed not to fight the city’s effort to do so. The potential reservoir locations, where the city says it will store as much as 8,500 acre-feet of water, are the city-owned golf course, the Maroon Creek Club’s golf course, the Cozy Point open space, the gravel pit in Woody Creek and a city-owned vacant land by the gravel pit. During a public case-management conference Thursday with most of the water attorneys in the case, Boyd said he had reviewed the record and had concerns about several issues, including fundamental questions of diligence and need. He asked Covell to file with the court “either a supplemental factual record, a legal brief or just a new proposed decree, or any combination of those” by Jan. 18, if possible. Boyd also asked the city to provide the court with its current long-range water-supply plan. Covell said the city’s water plan is in a series of documents. The city first filed for the conditional water rights in 1965, informing the state it intended to build a 155-foot-tall dam on Maroon Creek that would store 4,567 acre-feet of water, and a 170-foot-tall dam on Castle Creek that would store 9,062 acre-feet of water. The city obtained conditional decrees for the two reservoirs in 1971. Since then, it has submitted to the state periodic diligence applications, saying each time that it “can and will” someday build the two reservoirs, if necessary. In current proposed decrees now in front of Boyd, the city is seeking a right to store 8,500 acre-feet in Castle Creek Reservoir, down from 9,062 acre-feet. It’s also seeking a right to store the original 4,567 acre-feet in Maroon Creek Reservoir, even as it plans on moving both those rights, according to the settlement agreements, and forever walking away from the original locations. In the settlement agreements, the city also has said it will seek to store no more than 8,500 acre-feet of water, in some configuration, at one or more of the five new locations. The 8,500 acre-feet of water could come from both Castle and Maroon creeks, in some combination, or it could all come from Castle Creek. On Thursday, Judge Boyd said he had questions about the city’s estimated storage needs. The property next to the Elam gravel pit and the Woody Creek raceway that the City of Aspen has put under contract. The city is investigating the site as a place for potential water storage, either underground or above ground. Boyd also said it’s the first time he has seen a request such as the city’s, which involves moving conditional rights out of their original location, but only after first obtaining a diligence finding for the water rights in their original locations. The Castle and Maroon creek decrees have nearly identical terms, other than size. In fact, they’re often referred to as one decree. It’s not the first time in the case that the state has asked the city to provide more information. The city responded, but not in a way that satisfied the referee. In August, more than a year and a half after the summary of consultation, the referee, Susan Ryan, sent the city’s two cases to Boyd for him to resolve. 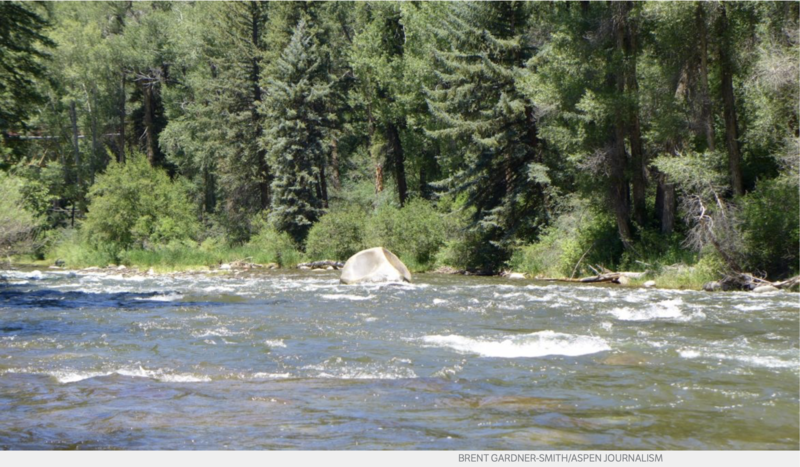 Editor’s note: Aspen Journalism covers rivers and water in collaboration with The Aspen Times. The Times published this story on Monday, Dec. 3, 2018. Cloud seeding ground station. Photo credit H2O Radio via the Colorado Independent. Instumentation cloud seeding research Colorado. 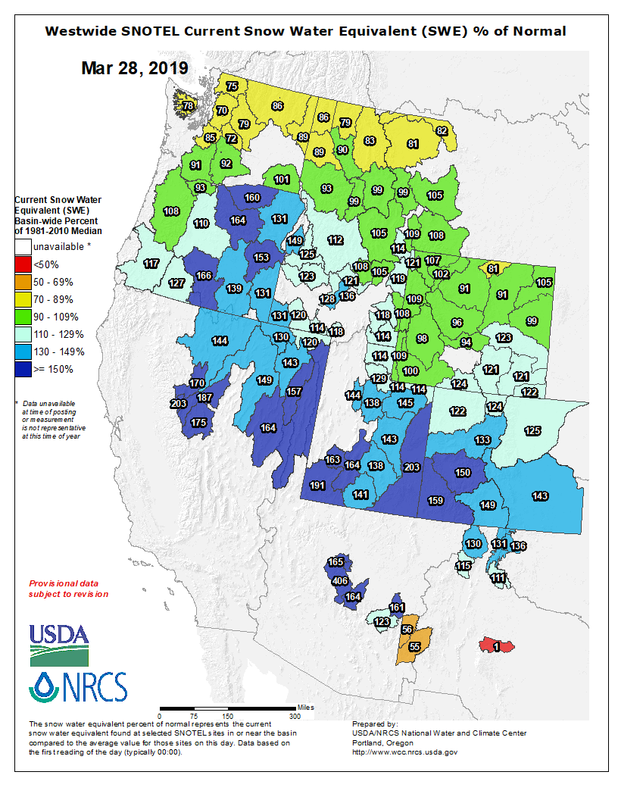 The Colorado River District says adding to the snowpack is one way to address dwindling water supplies; a study in Wyoming showed that, when the conditions are right, cloud seeding can increase snowfall by 5 to 15 percent per storm. That translates to a slight increase in water supplies — a 1 to 5 percent increase in snowpack-derived water. Dave Kanzer, an engineer with the River District, said more efficient storms with more snowfall can mean more water across the West. The River District has ongoing cloud seeding operations across Colorado, all along the Continental Divide, but not in Aspen and Pitkin County. 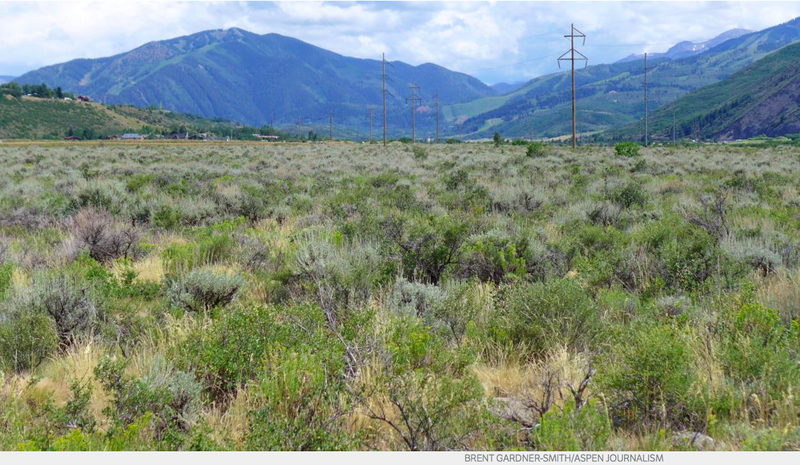 “We are proposing to fill in those areas upstream toward Independence Pass, to include all of the Ski Co properties, and all of the upper Roaring Fork Watershed,” Kanzer said. He will present a proposal for a three-year cloud-seeding program to Pitkin County’s Healthy Rivers Board at its meeting this Thursday. The River District has also been in talks with the City of Aspen and Aspen Skiing Company. Kanzer says the science is clear, but the process is not precise. 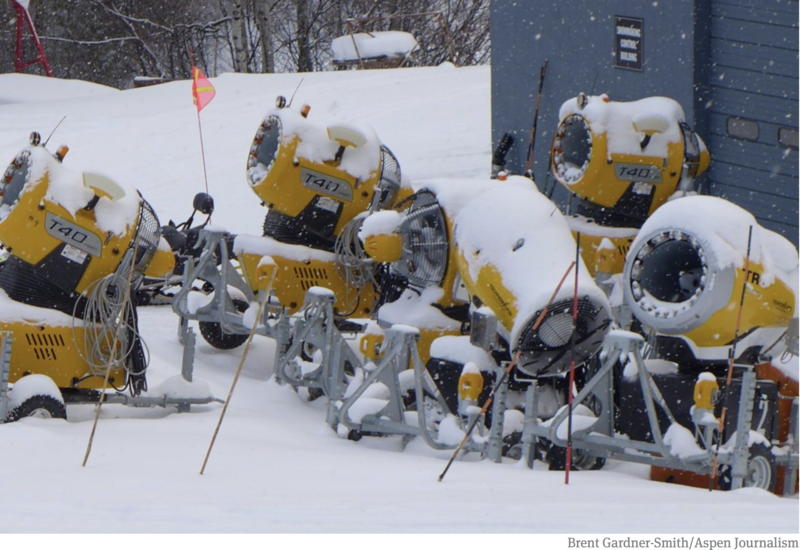 A study conducted in Wyoming shows the conditions are only right in about 30 percent of storms, but when they are, cloud seeding can increase snowfall. 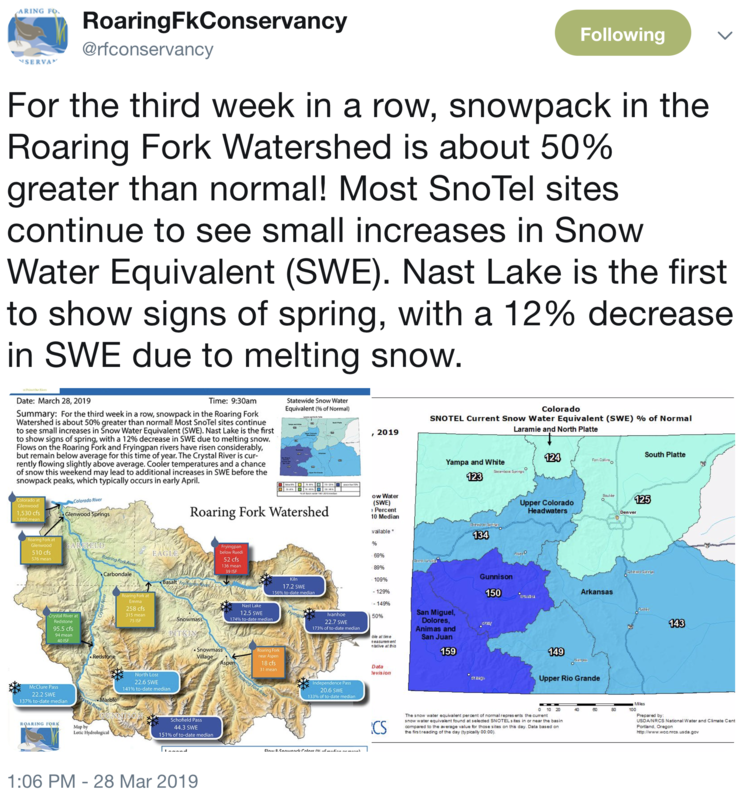 That snowpack contributes to the water supply not just in the Roaring Fork Valley, but across the west. 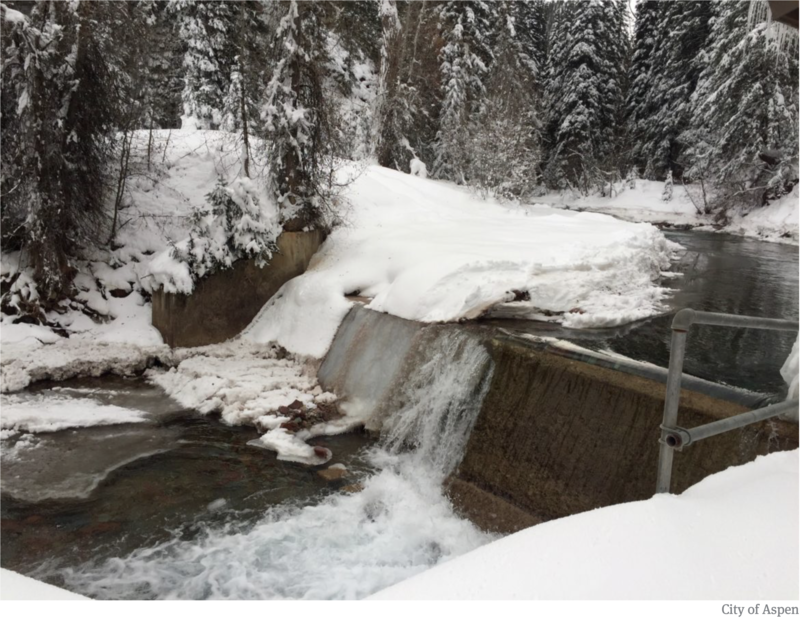 “Even if we only increase the water supply by a small fraction, it can have wide ranging benefits,” Kanzer said, including more water in local rivers and more snow on the mountain. The River District wants to see more cloud seeding activities in the Aspen area. On Thursday, the Pitkin County Healthy Rivers Board will hear a proposal from Kanzer about expanding cloud seeding activities. He also has met with City of Aspen water officials and Aspen Skiing Company. Rich Burkley, vice president of mountain operations for SkiCo, said the company is interested in supporting the River District, but not as a business investment. The small increase in snowfall doesn’t translate to extra powder days for skiers and riders. “A 10-inch storm going to a 10.5-inch storm, doesn’t really do too much,” Burkley said. While cloud seeding might not be a boon for powder skiers, Burkley said SkiCo is supportive of any measures that might help the water supply. The company has offered to participate as a site for the generators and to help with manpower to operate them. 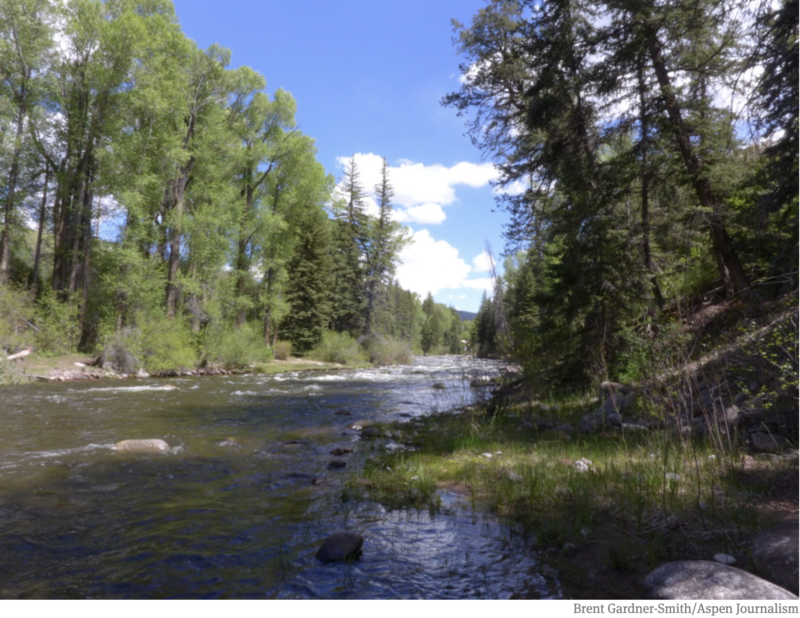 The River District is looking for funding from Pitkin County’s Healthy Rivers Board and the City of Aspen; the proposal would then need a permit from the State of Colorado.